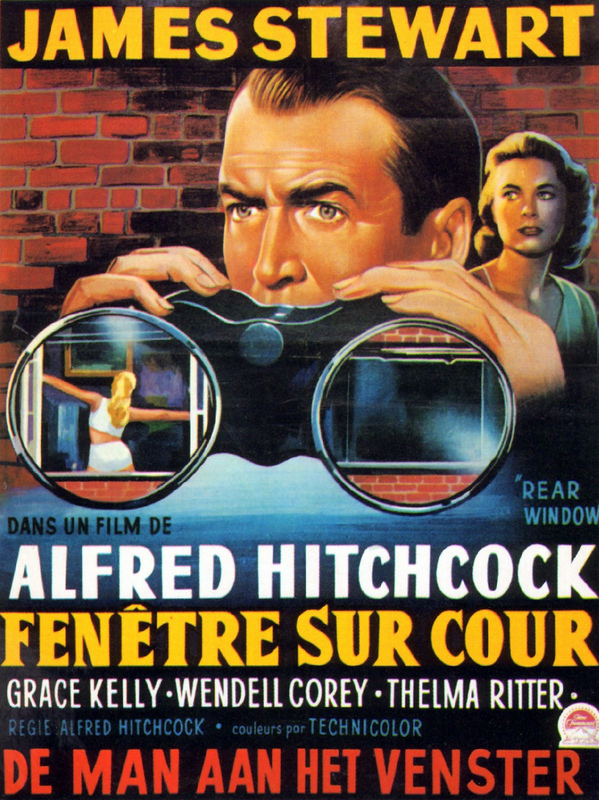 My guess is with Dorian’s on this one, that is Rear Window with James Stewart and Grace Kelly. I almost imagine his hands are holding a pair of binoculars. It’s three for REAR WINDOW!